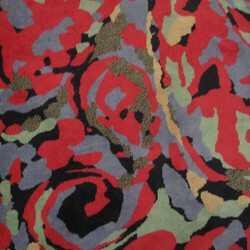 A Pierre Balmain designed Modernist wool carpet. 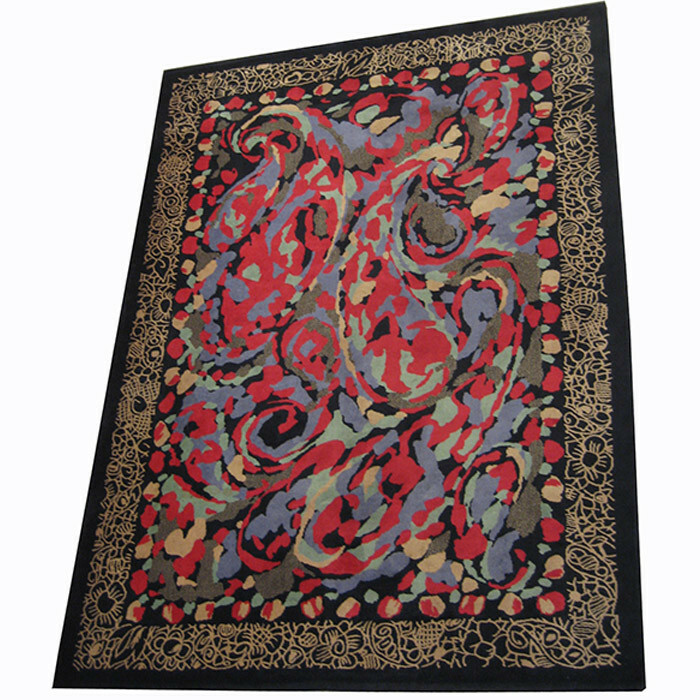 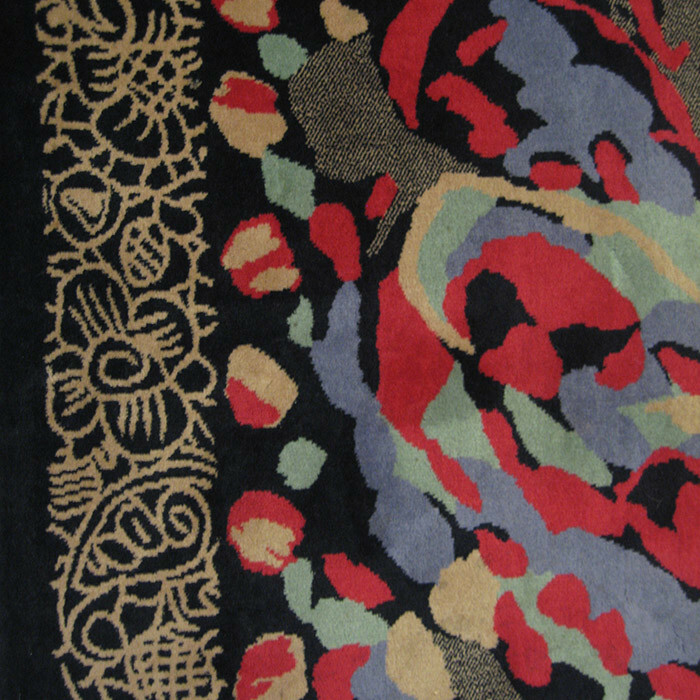 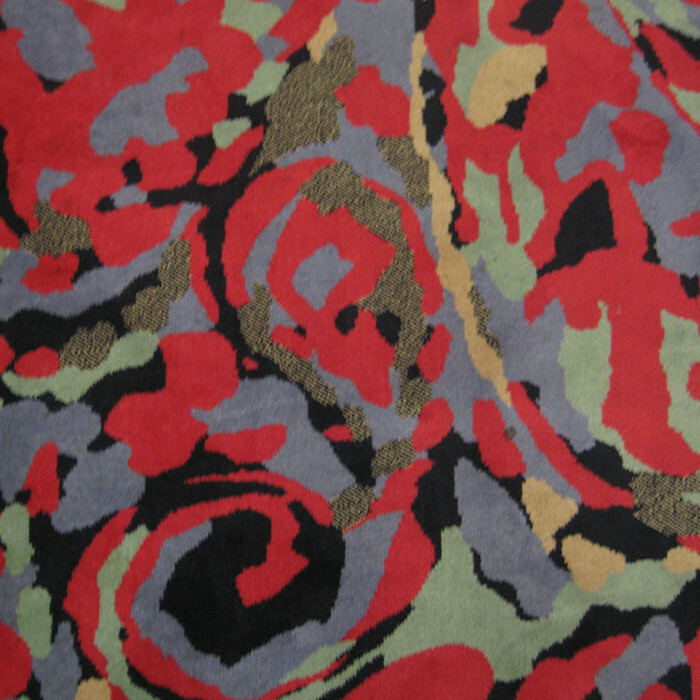 Composed of a black background with a decorative tan border surrounding the central composition of the carpet in hughes of red, blue,green and tan. Featuring the original Label: "Pierre Balmain Paris"